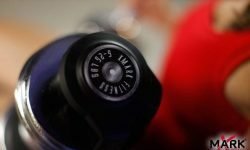 When attempting to purchase exercise equipment for one’s home or gym, it is vital to ensure that the equipment is perfectly manufactured, by a reputable company. 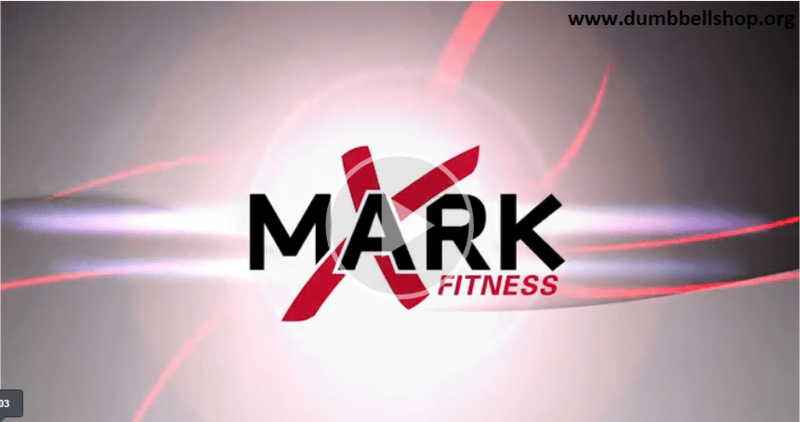 Everyone, who knows anything about fitness equipment, has likely heard of XMark Fitness, which is likely best known for its adjustable dumbbells. Although they have several different varieties to choose from, the Xmark 25 Pound Adjustable Dumbbells is more than sufficient for most individuals. Below, you will be able to discover my informative review of these dumbbells. XMark definitely set the bar high with the design of these dumbbells. They’re sleek, but innovative. If you’re worried about the set fitting your home or gym’s interior design, you can rest assured, once you take a good look at this product. The steel, which is used in the manufacture, is actually plated in chrome to ensure longevity and lifetime durability. The dumbbells are equipped with convenient storage trays, which help ensure the weights do not roll around or scuff up the floor. In order for adjustable weights to be effective, the adjustment system is pertinent. If the system fails and makes it impossible to adjust the weights, you might as well switch to regular dumbbells. With this particular set, you can rest assured that the weight can be adjusted easily, with the slide system. Once the dumbbells have been placed in the tray, you can slide the knob to your desired weight. The excessive weights will be left behind, once you’ve lifted the dumbbells from the tray. Suffice to say, this systems works very well, even with repetitive use. As the name implies, these dumbbells are capable of providing a maximum of 25 pounds. 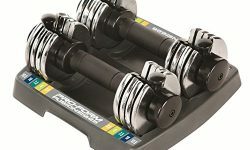 Since this might be a little too much for some individuals, the above-mentioned slide system makes it possible to place the dumbbells back into the tray and adjust the weight. The increments of 5 pounds can be added or removed from the dumbbells with ease. It is possible to reach a minimum weight of 5 pounds. Although some will prefer heavier weights, the 25 pounds should provide a solid workout for most. 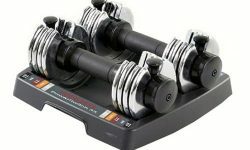 The overall design of these dumbbells helps to ensure that they can be used very easily in a variety of different ways. In fact, the manufacturer suggests that this set can be used for more than 30 individual exercises. The handles are made with a fairly effective grip, but you may want to consider purchasing gloves to prevent dropping the weights. Whether you desire to work the arms, chest or shoulders, these dumbbells will give you the ability to do so, with ease. At the end of the day, these are some of the most affordable dumbbells on the market. This doesn’t necessarily mean that they’re lower quality though. 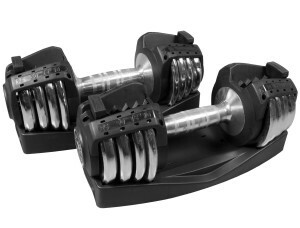 Instead, the adjustable dumbbells are well worth the cost and an included 1-year limited warranty ensures longevity. The weight increments are slightly limited, but suitable for many different exercises. If you’re looking for a lighter dumbbell set, the XMark 25-pound adjustable dumbbells are definitely worth a look.